There are a lot of reasons to lock your iPad and this article will discuss why you would want to do that and some ideas on how to do it. Locking mounts help to prevent theft of the device and in some cases, theft of the mount itself. Over the many years of working in this industry, we came upon many examples of why someone would lock their iPad. Here are a few specific examples. A trucking company wanted to provide their drivers with tablets to detail delivery manifests and provide directions to the destination via GPS. A restaurant uses iPads to display the day’s special when coming in. The tablets are in plain view in a crowded lobby. Drivers would like to use their tablet in the car as a GPS but do not want to remove it every time they left the vehicle. Local fire company is using iPads in the engine and will leave the devices in the vehicle while working active scenes. All valid concerns for wanting a way to lock the tablet up. First point before we dive into ideas for locking up your tablet is that if someone is determined enough, they will steal not only your tablet, but the mount too. There are times when the damage done to steal your tablet will easily exceed the cost of the device. For example, our driver in example three may come back one day to find his windshield smashed and tablet gone. Sometimes the best defense will be to simply take the tablet with you whenever leaving the vehicle. Buy a locking cradle with a locking mount. There are several manufacturers of locking cradles and mounts. If your tablet is a mainstream model (Samsung or Apple), you can purchase a custom cradle. If the tablet will use a case or is something other than mainstream, use a universal locking cradle. Be sure that the mount can also be locked or you have not accomplished anything with your mounting cradle. This option is shown in the picture that accompanies this article. This is a mount that is made by RAM which features the locking cradle and mount. Buy a lock that will attach to the back of the tablet. 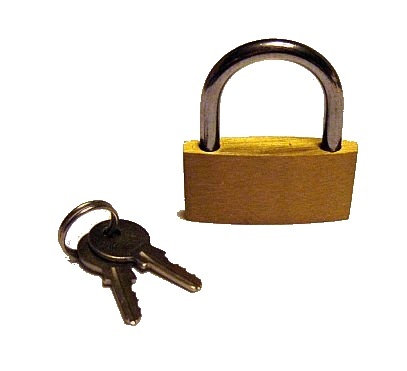 The locking device can have a tie in to an alarm system within your premises. If it no longer receives an answer to a ping to the home base, alarms will sound. Use a cable lock. The drawback of cable locks is they typically will partially block the tablet display. The first two options will typically use a bolt down mount. The base is generally bolted down to a flat surface. I stress the importance of ensuing that the mount is also anti-theft. Purchasing a locking cradle but having a mount that uses a removable arm means that a potential thief simply needs to turn a knob and remove the locking cradle with the tablet. When the thief is home, it’s a simply matter of cracking open the locking cradle and removing your tablet. As pointed out earlier, if someone really wants to steal your tablet, these mounts simply act as a deterrent meaning it will slow the thief down or at least have them go to another place where the tablets are easier to take. However coupling common sense with a little paranoia and these mounts should hopefully prevent the majority of thieves out there.